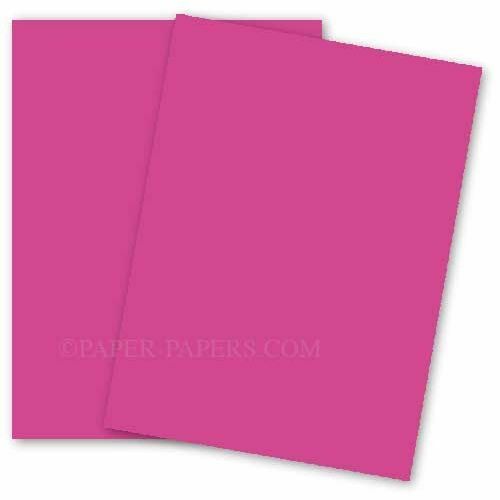 Checkout this distinctive range of premium vat-dyed colored text and cover papers, manufactured with an antique vellum finish to offer a rich textile feel with good bulking characteristics and rigidity. Representing a wonderful range of colors with high quality to enhance the artistic workmanship of the designer and creative minds. This brand is Laser & Ink Comp. (Assuming paper weights comply with printer acceptance guide). Additional info... Twin-wire Antique Vellum Finish (uncoated), pH7.0 Neutral, Archival - Acid/Lignin free, Elemental chlorine-free. Printing compatibility: Lithography, Inkjet, Laser, Digital, Silkscreen Finishing: Die Cutting, Laser Cutting, Varnishing, Blind Embossing. Find related and matching cardstock, paper and envelopes by jumping to Basis Paper pages and viewing more selections. 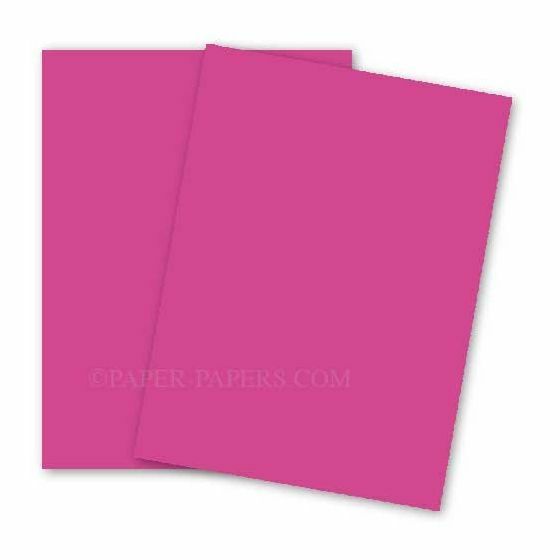 PaperPapers sku: LE-BA-814C-MAG -- This product listing is selling as 100 per package.